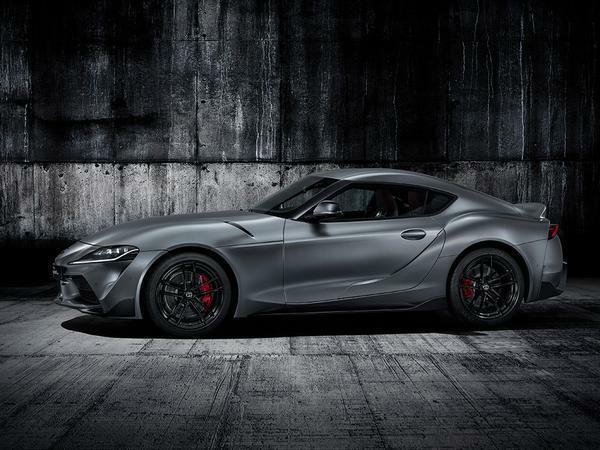 Home > News > Japanese cars > Behold the new Toyota Supra! 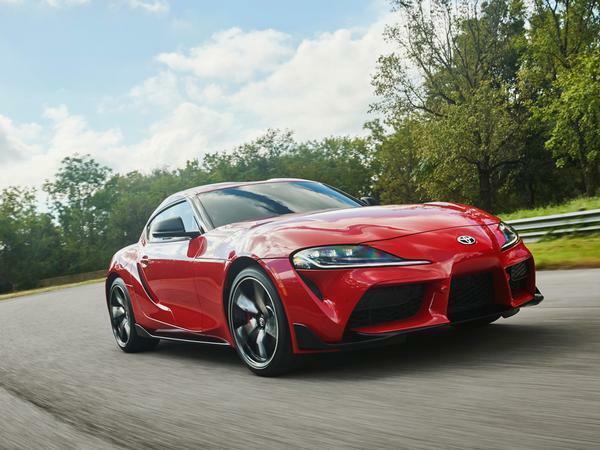 Behold the new Toyota Supra! Well, isn't this exciting? It's seldom nowadays that new sports cars are actually launched, leave alone ones with some notable heritage and a huge weight of expectation. 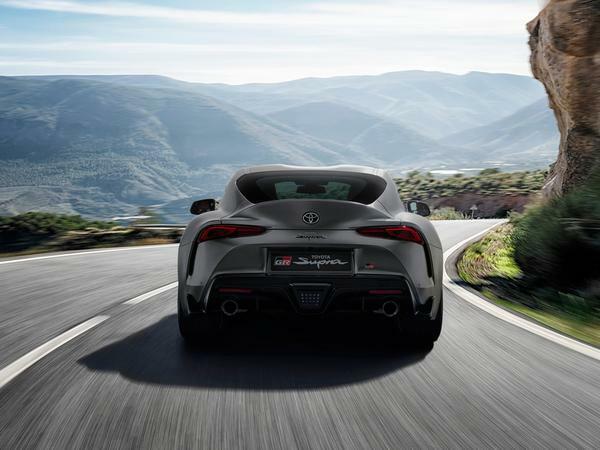 But here we are, more than four decades after Toyota first created a Supra, with a new one ready to reach customers. To the numbers, first off, because that's inevitably where discussion will lead given how well acquainted we are with the looks. 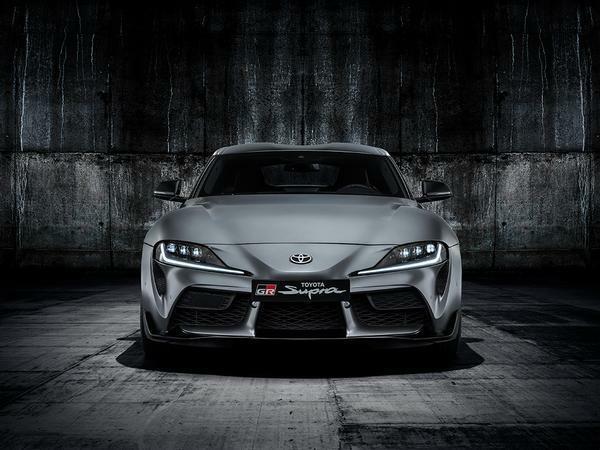 As per the prototype, the production GR Supra is powered by the familiar BMW 3.0-litre straight-six turbo, with 340hp at 5,000-6,500rpm and 369lb ft at 1,600-4,500rpm - exactly the same figures, to the rpm, as found in a Z4 M40i. 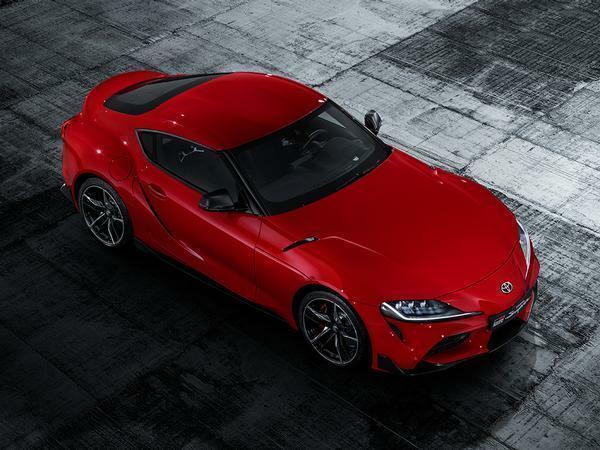 However, with mention of short ratios for the lower gears and a 40kg weight advantage - the Supra coming in at 1,495kg without driver - the Toyota is claimed to be quicker, with 0-62mph taking 4.3 seconds. Top speed is limited to 155mph. And while we're on the numbers... An A90 Supra is 4,379mm long (the old car was 4,520mm), 1,854mm wide and 1,292mm tall. A 2,470mm wheelbase is shorter than a GT86. The tyres are Michelin Pilot Super Sports, 255/35 ZR 19 at the front and 275/35 ZR 19 at the back; the brakes lurking nearby are 348mm discs up front and 345mm astern, using Brembo four-piston calipers. The fuel tank is 52 litres, the CO2 is 170g/km and the boot holds 290 litres - phew. To more subjective matters. 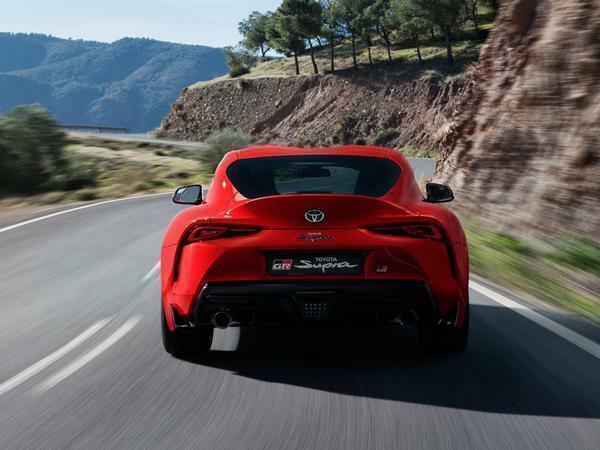 Toyota describes the Supra has embracing a 'Condensed Extreme' design language; as far as can be told that seems to mean a traditional sports car silhouette - long nose, stubby tail, cabin towards the end - with more modern detailing such as the LED lights. With clear links to the FT-1 concept and little changed from the prototype, the double bubble roof has made production, offering both aero benefit (because of the reduced frontal area) and an improvement to headroom. 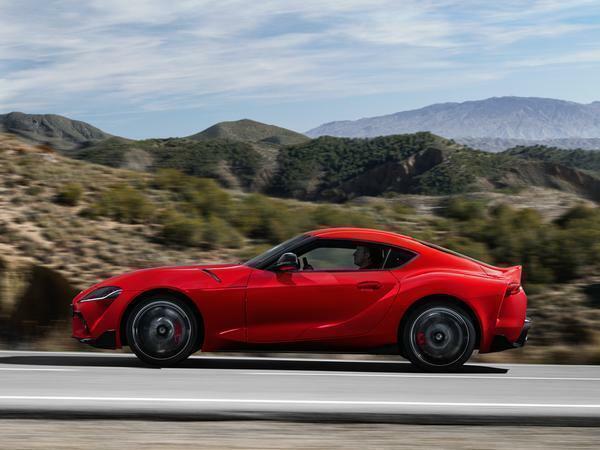 Chief Designer Nobuo Nakamura speaks of something "visually and physically exciting to sports car fans", and Toyota surely deserves praise for actually delivering on something genuinely compact and still purposeful, in a world seemingly obsessed with enormous cars. Other points of note? Plenty. All GR Supras sold in the UK and Europe will receive an active differential, promising fully open to 100 per cent lock "with instant response" where required. 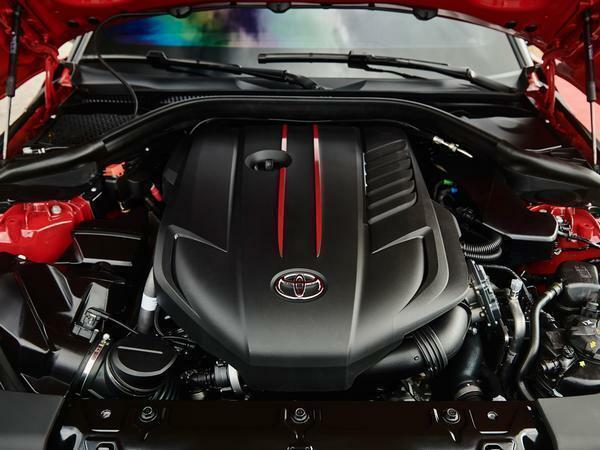 Its behaviour can be adjusted, along with that of the throttle response, engine sound, shift pattern, damping and steering with the selection of sport mode. Body rigidity is said to be greater even than the Lexus LFA; the suspension naturally said to benefit as a result. 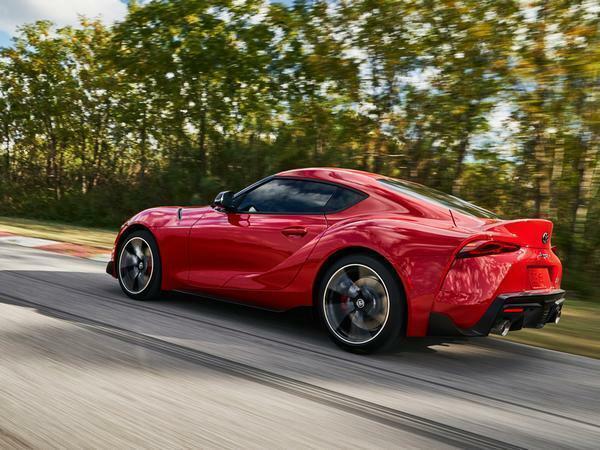 With aluminium control arms, light but strong subframes and 'high performance' wheel hubs, the Supra will reputedly offer "precise cornering characteristics." To that end testing has taken place on "challenging roads worldwide" as well as the Nordschleife. There isn't a lap time for the latter yet, though it must be worth noting that sportauto lapped a Z4 in less than eight minutes. 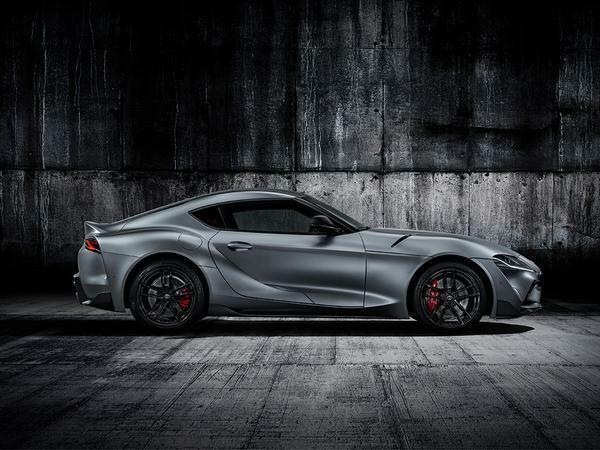 So that's the GR Supra, then, the first global product from Gazoo Racing (hence the name) and, given what we all now know, a very exciting prospect. 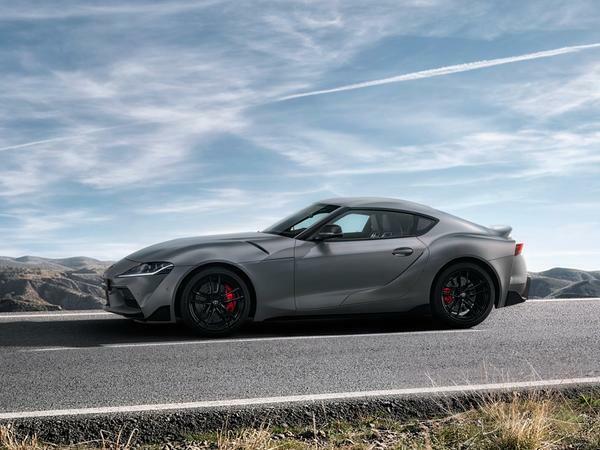 In the UK buyers will have the choice of a standard model and a Supra Pro, the latter adding adaptive cruise control, auto air-con, electric seats and an upgraded infotainment system - unsurprisingly it is expected to account for the majority of UK sales. If that's not enough, Toyota is also making available 24 A90 Edition Supras for the UK at £56,945 apiece. Based on Pro spec but in the unique Storm Grey matt paint with red leather combo seen here, it is being offered to the first customers who convert their pre-sales reservation into a vehicle order. Those that do not will have eight colours to choose from, as yet unconfirmed but said to include yellow and blue as well as the red we're familiar with. Lucky Supra souls over here will also receive ownership rewards including "Supra-themed activities, events and branded items." The cost? 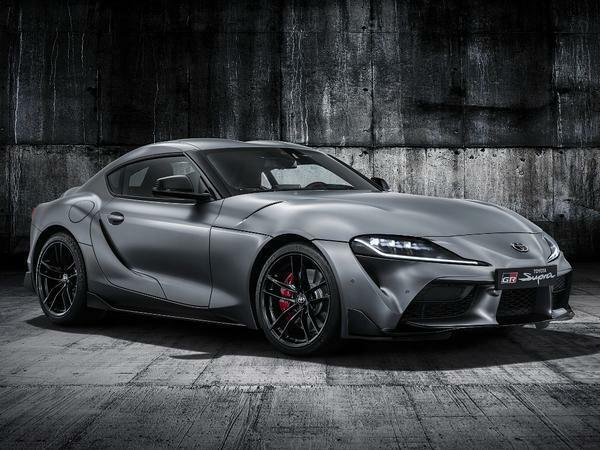 £52,695 for the standard GR Supra, or £54,000 for the Pro. Broadly competitive, then, with the M2 Competition (from £50,975), a 718 Cayman S (£51,835) and Alpine A110 (£50,805 for a Legende edition). Or might it tempt you back into an old Supra? 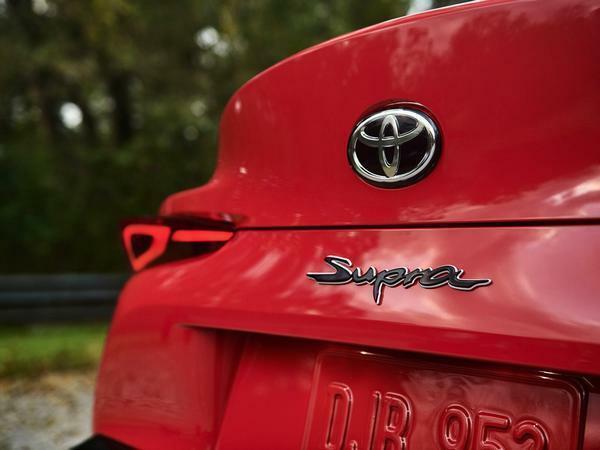 Either way, it would seem that Toyota is off to a good start - welcome back Supra! Looks nice in grey. Dashboard hasn't carried over any motifs from the mk4 but overall I find the design quite pleasing. Hmm...How long until a 2JZ is swapped into this car and the bumper is replaced with an aftermarket one that looks better? 2 months from first delivery? The difference a colour can make, it looks fantastic in the grey but odd in red. Obviously these are pictures so | will reserve judgement until I see it in the flesh but how awesome, its finally here. Hideous, in every colour from every angle. Hey Matt, how about some higher res, not horribly compressed images for your articles? its 2019.